The first step in the development of a Water Source Heat Pump project is make an initial estimate of the approximate maximum heating requirements of the building. This estimate is used determine an initial indication of the heat pump capacity required and the annual heat demand. The heat pump capacity provides a good indication of the overall project costs, and the annual heat demand an indication of the project payback using Renewables Heat Incentive payments. The Renewable Heat Incentive is a government support mechanism to encourage property owners to switch their heating systems from those using fossil fuels ( for example, heating oil, LPG, gas ) to low carbon heating. Renewables First offers a free water source heat pump initial assessment to provide a broad overview and initial estimate of the project heating requirements, costs and financial payback. If the initial free assessment demonstrated a potentially viable project then the next step, a Heat Pump Feasibility Study, will be recommended and costs identified for your property. The price of the Heat Pump Feasibility Study depends on the size of the property and will be indicated within the recommendations and next steps in the free Initial Assessment. 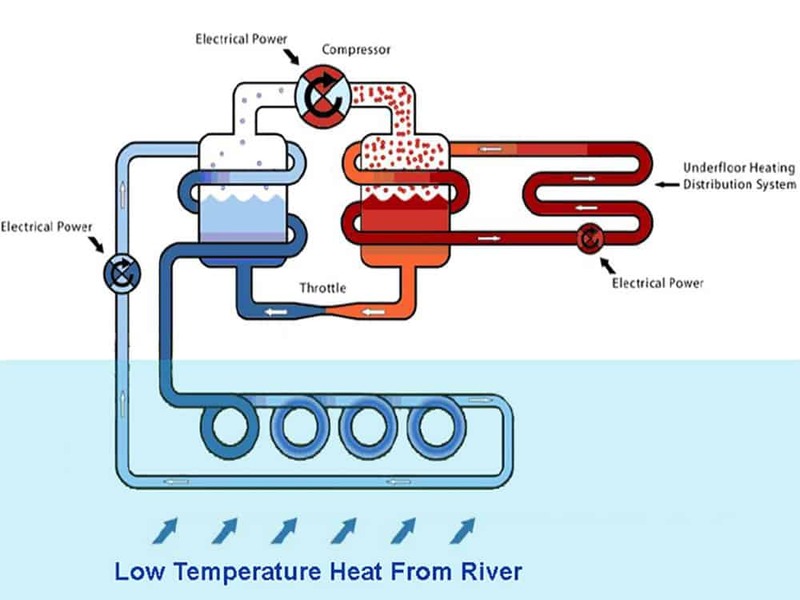 For more detail about the Heat Pump Feasibility Study please visit this page. Are you considering a water source heat pump project in the UK, Ireland or overseas? Renewables First have considerable experience and full project capability, from initial feasibility study through to system design and installation. The first step to develop a water source heat pump project is to conduct a Free Initial Heat Pump Assessment. Contact us about a free initial assessment today! Once complete, you will understand the site potential and be guided through the next steps to develop your project.